Scott Thompson has resigned as the CEO of Yahoo after the Internet company discovered that he had falsified information on his resume with regards to his educational background. The company has since named Ross Levinsohn as interim CEO, although his position could be made permanent according to one source as reported by the Wall Street Journal. Third Point hedge fund CEO Daniel Loeb sent a letter to Yahoo’s board earlier this month pointing out that Thompson did not receive a degree in “accounting and computer science” and in fact, Stonehill College (where Thompson graduated) didn’t even offer a computer science degree during the time he was enrolled. Yahoo vowed to review the findings and with this latest news, it must have been damning enough that board members wished for him to leave his position with the company. 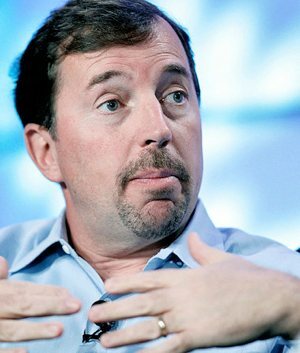 Despite telling those at Yahoo that he wasn’t responsible for the flawed biography, he opted to step down as CEO, the fourth person to vacate the position in the past five years. A person familiar with the situation told the WSJ that Yahoo will continue to investigate the matter to see if Thompson could be fired with cause. Doing so would mean he would lose out on millions of dollars in severance pay. Moving forward, Levinsohn will take over as interim CEO and Fred Amoroso was named nonexecutive chairman. Yahoo also agreed to give Third Point, who owns roughly six percent of Yahoo shares, three seats on the board with one of those spots going to Loeb. Harry Wilson and Michael J. Wolf will occupy the two remaining seats.